If you’re planning a “staycation”, weekend breaks with kids or searching for family day out ideas and things to do with kids, there’s no better place than the beautiful South of England. 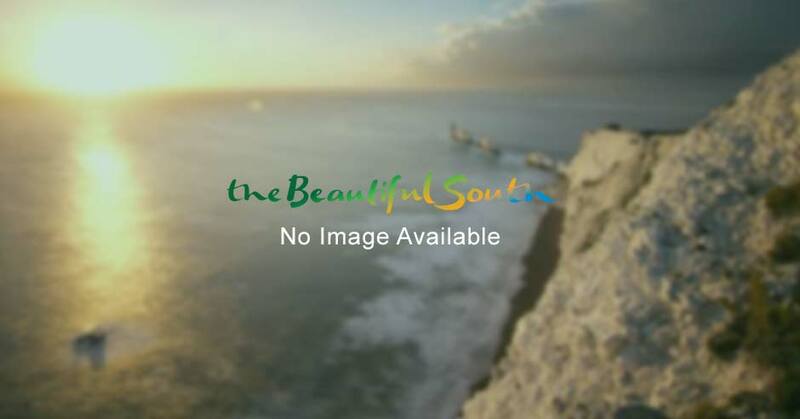 Over recent years the South East has worked tirelessly to ensure it remains an ideal holiday destination with a magnitude of family days out and attractions. With a multitude of blue flag beaches, hundreds of things to do while the sun is shining, great value holiday parks and free festivals and events; the South East offers parents and children an unforgettable UK holiday without breaking the bank. What's on for families this weekend? See our list of family events to see what's happening close to you this week and use the map view to find something nearby. There are many free things to do with attractions also putting on extra activities during school holidays giving you plenty of ideas for your weekends away with the kids. Escape from the commotion of everyday life aboard Solent Forts’ Amazing Island Hotels (Spitbank Fort and No Man's Fort). Enjoy a relaxing short break at Chewton Glen. Fancy a family break where you’re never stuck for something to do? Head to the Isle of Wight with Wightlink. Proud Country House, a beautiful 18th Century Manor House set in acres of stunning woodland and parkland in the heart of Sussex, nestled between the sea and the South Downs just 10 minutes by road from Brighton & Hove. Set among the domes of a former world famous observatory, The Observatory Science Centre have over 100 interactive exhibits that offer something for all ages. Don’t miss out on the fun at the award-winning Drusillas Park, East Sussex and explore the zoo and meet over 100 different species of animal! The multi-award winning Fishers Farm Park is the much-loved family day out in the heart of the lovely West Sussex countryside. Wakehurst has been managed by the Royal Botanic Gardens, Kew since 1965. The collections are in general arranged geographically to create an 80 minute walk through the temperate forests of the world. Come and discover rescued traditional rural buildings set in a beautiful landscape, which tell the stories of the men, women and children who lived and worked in them over a 950-year period at Weald & Downland Living Museum. Everyone can spend time looking at the beautiful interiors and historic elements in the Castle as you discover the childhood home of Anne Boleyn at Hever Castle. Kent Life, where history and family fun sit side by side! A working farm, the animals, Owl Academy cuddle corner and farmyard are always popular with visitors. Margate, Broadstairs and Ramsgate offers 15 sandy beaches and bays for kids to enjoy. Nestled in the Kentish countryside and set amidst a sea of roses, Smallhythe Place is a humble oasis that once belonged to renowned actress Ellen Terry. Escape to the woodland playground and floral gardens at Watts Gallery Artists' Village. Cliveden has enjoyed a pivotal role in Britain's history for 350 years. The iconic stately home has played host to everything from smoldering scandals to royal retreats. Whatever the Season and whatever the Weather, you’ll always find stacks of Animal fun, Indoor Play & Outdoor Adventure at Odds Farm Park. Head to Henley and join the fun at The River & Rowing Museum. Visit Stonor and see all the treasures and paintings! A famously subtropical climate, gorgeous beaches, picturesque villages and top attractions on the Isle of Wight – enjoy them all when you stay at The Royal Hotel in Ventnor. The River Thames is the perfect playground for families. Enjoy a walk along the Thames Path National Trail and discover the towns and villages along the way; London, Windsor, Reading, Henley, Marlow or Oxford. Explore on a boating holiday, take a sightseeing cruise or hire a boat (canoe, punt, rowing or motor cruiser) from a few hours or more. Visit family friendly gardens or stay in a family friendly hotel. Book a workshop at the River & Rowing Museum. With seven miles of golden sands and sparkling sea, beautiful award winning gardens and watersports galore, the vibrant cosmopolitan town of Bournemouth has it all. With a wealth of accommodation from B&Bs and guesthouses to boutique hotels and four star luxury, there is something to suit all tastes and budgets.